Square Enix has gone all-in on developing ports and remasters for their catalog of games in recent years. 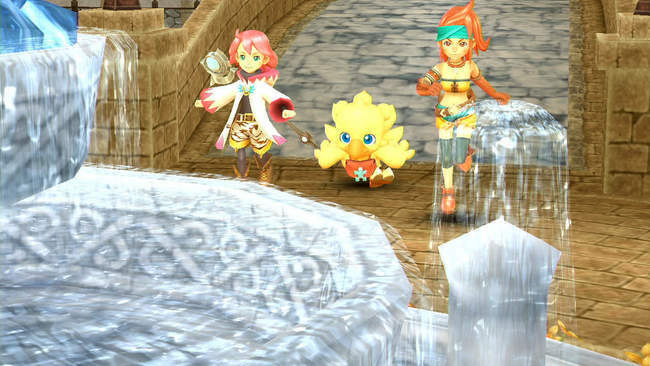 From somewhat expected remasters like Final Fantasy XII: The Zodiac Age to more surprising ones like the upcoming Final Fantasy: Crystal Chronicles, Square Enix is refreshing their older titles for a new audience. 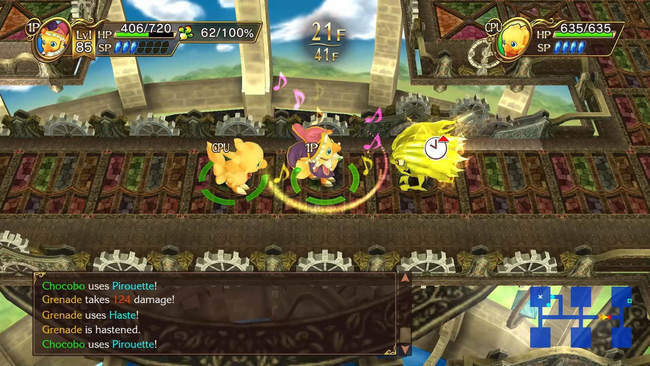 Chocobo’s Mystery Dungeon: Every Buddy is one such refresh - a remaster of 2007's Final Fantasy Fables: Chocobo's Dungeon on Nintendo Wii and DS. I have played a handful of Mystery Dungeon style roguelike games, but I had never gotten around to checking out Chocobo's Dungeon prior, so the remaster gave me an opportune time to jump in. Chocobo’s Mystery Dungeon: Every Buddy opens with the adventurer Cid and his partner Chocobo stumbling into the mysterious town of Lostime, a frankly weird place where the inhabitants continually lose their memories whenever the town's bell tower rings. A local girl named Shirma seeks to investigate the disappearing memories when she and Chocobo meet a strange baby named Raffaello (who quite literally falls from an egg in the sky, also weird). This baby has the ability to create 'Mystery Dungeons' from people's memories, and thus Chocobo sets off to explore these dungeons and figure out the riddle of Lostime. Having not played the original version of the game, I cannot speak too much to the specific changes or additions to the remaster. 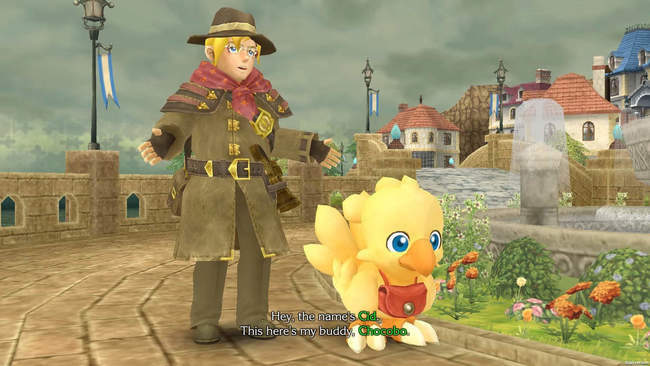 The clearest and most obvious addition is the titular one of a Buddy, where Chocobo can bring in a second character to assist in the game's dungeons. The Buddy can be various storyline characters unlocked throughout the game, as well as any of the 100+ enemies scattered throughout the dungeons, including bosses. The Buddy system fits into the game quite nicely. While each Buddy can only offer one ability (or regular attacks), it's a nifty little extra layer of flexibility when considering how to approach various dungeons or bosses. Sometimes having a buddy who can heal Chocobo's HP is the most readily useful, but sometimes it might make more sense to bring a buddy with higher damage output. If you have someone you can play with locally, you can even have them join in to control the buddy character, although I was not able to check out this feature. Chocobo himself can change into various common Final Fantasy series' job classes, such as Dragoon, White Mage, Knight, and Dancer. Like other class-based Final Fantasy games, each job can learn a variety of abilities, giving each job their own uses. Dragoon, for example, is one of the strongest physical classes, but can struggle against enemies that exhibit high physical defense. White Mage is a great class for longer dungeon treks due to the ability to heal, and it can dish out holy magic damage, but leaves Chocobo a little more squishy and prone to damage. You'll have to learn how to handle several classes in order to best succeed at Every Buddy. If you've ever played a Mystery Dungeon game, the general roguelike gameplay loop to Every Buddy will feel very familiar. 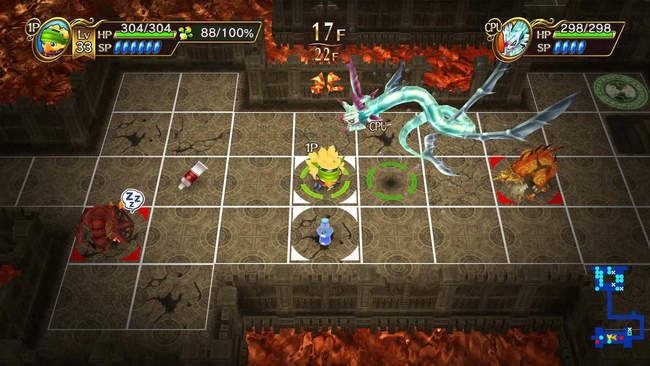 Each dungeon in the game is randomly generated and separated by floors. Chocobo and Buddy move on a grid in a turn-based step-by-step fashion, and the enemies inhabiting each floor do the same. The goal is to make your way to the furthest floor in each dungeon and take out a boss creature. Not only does the player need to stay on top of HP and SP, but also maintain the limited inventory space as you pick up equipment and items in the dungeon. Throughout the course of the game, you'll be working to upgrade Chocobo's equipment: his Talons used for attacking and his Saddle for defense. Not only do you pick up stronger items as you progress through each dungeon, but each piece of equipment can be honed to raise their base stats as well as powered up with various passive enhancements through item fusing. If you fuse talons that deal high damage to Giant enemies with talons that inflict Sleep status on enemies, you can end up with talons that exhibit both of those qualities. It's a relatively simple equipment system that works well without being too convoluted, although sometimes the player is at the mercy of the RNG in hoping for the right equipment to drop in a dungeon. Being a roguelike game, if Chocobo loses all his HP in a dungeon, he will lose all of his inventory items and brought back to Lostime. Luckily, Every Buddy is lighter on the roguelike elements compared to other games in the genre -- Chocobo's total level and various Job Levels will never be reset. Every Buddy adds a Hard Mode, which not only ups enemy stats slightly, but also increases the penalty for being defeated in a dungeon. On the normal difficulty mode, while Chocobo will lose most of the items in his possession, he gets to keep his equipped Talons, Saddle, and Collar equipment. On Hard Mode, everything will be lost, including the equipment you've been working to hone and tailor. It's not all bad though, as you can always reload your latest hard save, which works to ease the penalty of dying considerably. I'm a little mixed in how save-files can be used to circumvent the game's penalty for falling in a dungeon so readily. It's obviously a nice convenience to have, especially for those who are not fond of roguelike elements to begin with. However, I also feel it diminishes the experience slightly in how players can afford to be more reckless, knowing they have a save-file safety net right there in case something goes wrong. Outside of the mainline elemental dungeon, Every Buddy also includes many optional and post-game dungeons with a variety of restrictions and limiters. Most of the optional dungeons do not allow Chocobo to bring in outside items or equipment, so instead, you must rely on what is found within the dungeon to survive. Some of these optional dungeons also bring a small gimmick into the mix, such as a dungeon that keeps Chocobo's HP at 1, or a dungeon where you cannot use abilities other than normal attack. These dungeons work to change things up a bit, even just a little, and force players to approach things somewhat differently from time to time rather than simply using high-level equipment or routine strategies. Despite this, Every Buddy still largely sticks to the same structure the whole way through, which can lead to the game feeling a little monotonous over time. As for the storyline, Every Buddy keeps things straightforward and simple the whole way through. This spinoff is more focused on its gameplay elements more than an exciting dramatic narrative. Being a remaster of a Wii game, Every Buddy was never going to be a visual powerhouse, but the art style and colorful character & environment models help the game keep its charm. Various remixes of classic Final Fantasy tunes are also delightful, with several arrangements to offer tickles of nostalgia. Chocobo’s Mystery Dungeon: Every Buddy is a solid Mystery Dungeon game with a good amount of content. It, unfortunately, sticks to a somewhat repetitive gameplay loop and, even with a few challenge dungeons with unique rulesets, can get a little stale. I still enjoyed my time with Chocobo, and Mystery Dungeon fans will find something to enjoy here, but the appeal to a broader Final Fantasy fanbase might be a bit more narrow.